From Kibana 4.2.0 upwards custom plugins (of different types) can be written for Kibana and made available for all Kibana users. This tutorial series will guide you through the process of writing your first plugin and show you some of the possibilities plugins offer, e.g. adding custom visualizations, writing new “Apps” (from 4.2.0 on, Kibana itself as you know and love it is just an App inside the framework), or adding new tabs to the inspection pane of a visualization. Kibana offers an interface on how to install plugins from 4.2.0. It does not offer public API to develop against. Nevertheless they kind of advertise writing plugins, so I decided to publish this tutorial. Since there is no separation between private and public API, your plugin might break with the next patch version update, since they might change the services you have been using. So keep in mind, if you want to develop plugins you develop a plugin for a very specific Kibana Version and you have to test your plugin with EVERY Kibana version. The full discussion about the topic of a public API can be found in this GitHub issue. This tutorial has also been written for (and tested against) Kibana 4.3.0 and I most likely won’t change and retest the tutorial for every new Kibana version. But please feel free to comment any changes you have found in the comment section! This first part of the tutorial series covers the basics on how to setup the build system to develop your plugins and the basic structure of any type of plugin. You should read this part before jumping to any of the other parts that look into different types of plugins. Before you start developing you will need the usual web development setup, i.e. install NodeJS and npm. 1. 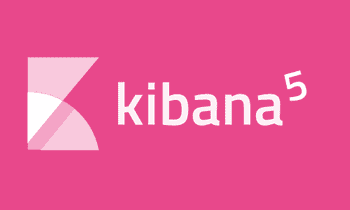 Download Kibana To develop plugins you will require a local Kibana instance for development. Since we need the plugin reloading feature, which is not available in the production code, you will need to download the source code for the Kibana version you would like to develop the plugin for. Either checkout the tag via git or select the appropriate tag on GitHub and download the source code as a zip file from https://github.com/elastic/kibana. During this tutorial we will use Kibana 4.3.0. 2. Install dependencies in Kibana Once you downloaded the Kibana sources, you need to execute npm install in the sources to install all required dependencies. It might take some time, to download the appropriate version and start it up. Once it’s finished you will see a table with the port and cluster name. This will start Kibana in development mode, which means it will automatically reload all the plugins if you make changes to them. The startup might take several minutes and is finished once you see some messages about “Lazy optimization success”. You should place the source code of your plugin in the installedPlugins folder. Kibana will automatically watch this folder for changes. Attention: it’s not enough to symlink your plugin folder into this folder, due to some dependency resolution issues. Your plugin source code must actually be placed in that folder. To create a new plugin create a new folder in the installedPlugins folder. The name of the folder must be the name of your plugin, which will be covered in the following chapter. The changes has applied as soon as the lazy optimization succeeded. Once this succeeded you can refresh your browser to see your changes. Sometimes Kibana isn’t able to properly reload the changes. In that case just kill it and restart it again (which might again take a minute or two) and see if that fixes your problems. Every plugin is a npm module. So it needs at least two files. These two files make up the most simple plugin, Kibana can load and it does - surprisingly - nothing so far. In the following parts of the tutorial we’ll look at all the code you can insert into index.js (and more files) to fill your plugin with life. Besides those two files most plugins will have a folder named public in their root directory. All files that won’t run server-side but will be transferred to the client browser go inside this folder. The package ID/name that you chose should be globally unique. It will be used by Kibana to resolve files inside your plugin and should not collide with any other plugin. That’s why I recommend prefixing it with some custom string, that identifies you/your organization. E.g. I use tr-k4p (for Tim Roes, Kibana 4 Plugin) as a prefix in most parts of this tutorial series. There is a yeoman generator for helping you bootstrap a Kibana plugin. 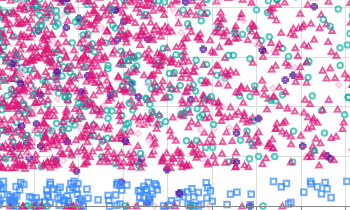 You can find it in the npm package generator-kibana-plugin. It’s highly recommended to actually use this generator. We will just not use it during this first parts, since it’s creating a lot of sample code and we will anyway look at all required files in detail. But after the tutorial you should use the generator. To get instructions on how to use the generator, see it’s npm page. Since the most recent versions, using the generator also will create build tasks, that automatically start your Kibana instance. So if you use the generator skip step 4 above and don’t start your own Kibana. Even though your plugin doesn’t do anything yet, it has the minimal code to be loaded into Kibana. During development you don’t need to install your plugin, since we are working in the installedPlugins directory. But once you finished your plugin, you might want to install it to some real Kibana instances. To publish your plugin, you basically need to zip the content of your directory. If you require runtime dependencies from your package.json you will need to bundle these dependencies (i.e. the appropriate node_modules subfolders) into the zip. If you use the generator as mentioned above, you can just execute npm run build to create a bundled zip file. You can also specify URLs with the file schema to install from a local folder. More documentation on installing plugin can be found in the Kibana Plugin documentation. 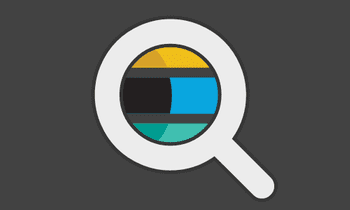 visTypes – add new visualization types to Kibana. apps – Kibana has the possibility to add completely separated apps, that can offer new functionality. One famous example might be timelion, a time series composer for Kibana, which is an app inside of Kibana. 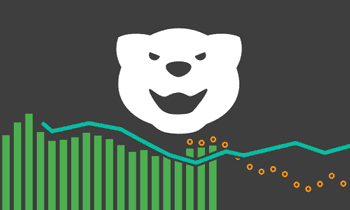 This tutorial series will mainly focus on adding new visualizations to Kibana. If you want to create plugins for other extensions points, I would recommend looking into the sources of some other plugins (there are also some in the core of Kibana), that are similar to what you would like to do. In the following parts we’ll show different type of plugins and create a bit more meaningful plugins. For everything you see in the following chapters you’ll need to create the above mentioned package.json and load as described. This won’t be mentioned again in any chapter. Ready to write your first simple visualization? Jump to part two of this tutorial series. If you are interested in other types of plugins look at the related posts box at the top of this page.